This Chair signed with E. Leclerc is under the umbrella of the ESCP Europe Foundation. It aims to foster forward-looking in-depth reflection on the business and retail industry of tomorrow. In an environment undergoing profound change, E. Leclerc, a key player in business and the retail industry, was looking for opportunities for teaching and debate where it would be possible to promote new forms of business and discuss new business ecosystems in the era of company 4.0. The Chair has been signed on April 5, 2016 and will be led by Olivier Badot, Professor at ESCP Europe. The creation of this Chair reflects a common will to escape from a traditional view of retail distribution, to move forwards and build the history and professions of the future of the retail industry, e-commerce and business 4.0. With 110,000 employees, its network of 557 entrepreneurs and a market share of 20.2% in 2015, E. Leclerc, the small Breton family grocery store founded in 1949 has become a real international empire. This major retail player has risen to many challenges throughout the more than 60 years of its existence… and therefore appeared to be an ideal partner. With its avant-garde dynamics, the Chair’s main areas of research and teaching extend beyond the "old economy" to join the "economy 4.0.". It is more flexible, both virtual and real, and also able to generate new ecosystems. Launch of ESCP Europe Doctoral theses in Management Sciences on the following themes: "Behaviour of purchasers in company 4.0." & "Economic business models 4.0.". Research papers by students in various business-related disciplines (marketing, logistics, economics, management and organisation, strategy, information technology and systems...). A "Best E. Leclerc Research Paper in business 4.0" prize will be awarded. Launch of "Retail Distribution & Business 4.0" course ESCP Europe/E.Leclerc for students to enable them, in 30 hours, to better understand and analyse the retail industry and business today in terms of its evolution and challenges of tomorrow. 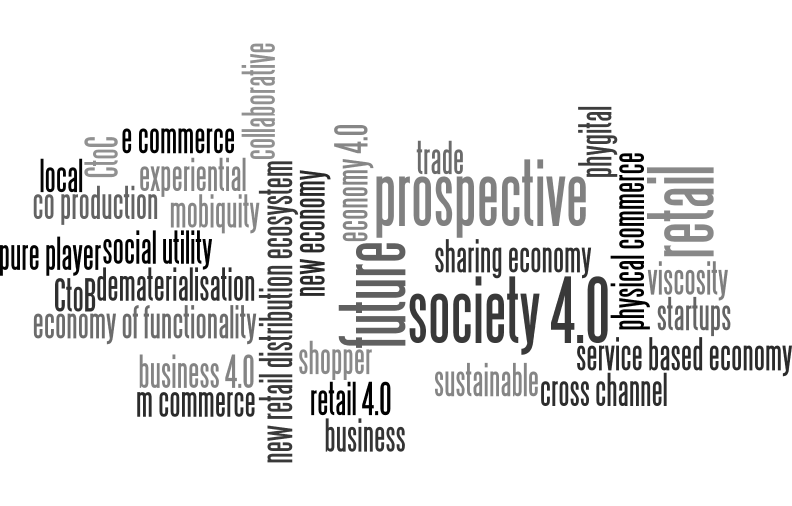 Since December 2016, launching of the "Petits-Déjeuners" of Retail 4.0.: monthly meetings at ESCP Europe, debates to discuss key-topics about the retail 4.0. This Chair for teaching and research combines the excellence of ESCP Europe and the experience of E.Leclerc.